In many congregations this will be Rally Day or the beginning of the church school year. Even if it is not, everyone is still in the Back to School mode settling into new commitments and disciplines. 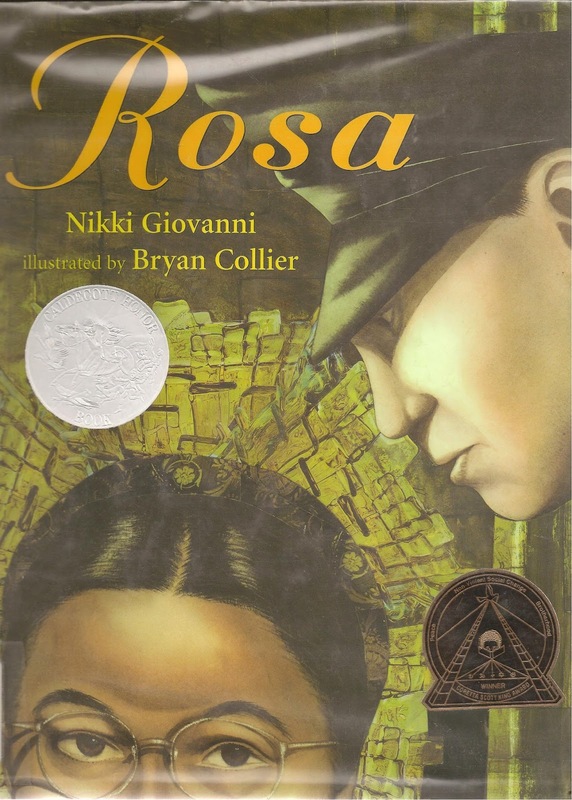 Many of the themes of today’s texts speak clearly to both children and adults at this time. The people standing on the edge of the Promised Land are not unlike children and adults stepping into the beginning of the school year. Everyone is beginning to realize that there will be choices to be made and that some disciplines will require more work than we might wish. But, we also remember as we settle into all the work that God made us and is with us always. In short, there is lots to work with this Sunday. God did not decide we only need 2 arms and reshape us. 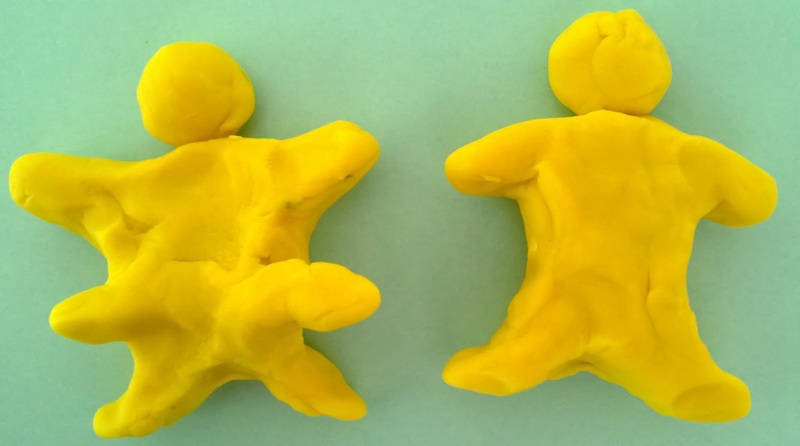 F Even with all their experience with clay, children – especially the younger ones – need a little help with this image. Literal thinkers that they are, they imagine God punching and pulling us into the right physical shape. (Visualize God pulling out three arms, then mushing one back in knowing that two in the right places are enough.) The challenge is to help the children imagine instead God working grabbiness into sharing or meanness into kindness. God has to work hardest on the invisible parts of us. Also, be specific about how God reworks us. God does not punch us down, but gives teachers, books, even experiences that help us learn and grow into the people God means for us to be. F Working with clay is the best accompaniment to a sermon on this text. Either set up a potter working at a wheel while you preach. 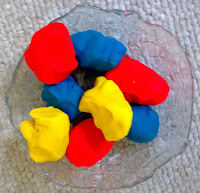 Or, give the children (or all worshipers) egg size lumps of clay to work with as you preach. You might even work with a lump as you preach pondering the process as you work the clay. Playdough is probably clean enough for most sanctuaries. But if you are worried about clay bits on plush pew cushions, get plasticene, polymer clay or sculpey at a craft store. It costs a little more, so give out smaller lumps. Whatever kind of clay you use, provide buckets to which it can be returned upon leaving the sanctuary. Any of these clays can be recycled! F “Have Thine Own Way, Lord” is an old hymn that is not in many newer hymnals. But, if it is in yours it almost demands to be sung with this text. Since the second verse adds the totally separate washing image and the third verse is about healing rather than molding, either delete them or introduce the hymn by focusing attention on the first and fourth verses. Read through them and introduce them as an important prayer asking God to keep working on us. F Explain that when Middle Eastern people write poems they rhyme ideas rather than sounds. A poem is a collection of ideas that may repeat each other or build on each other or say the opposite of each other. Psalm 139 is a poem about how well God knows each one of us. To help children hear each rhyming verse and to emphasize that God is with us at every age of our lives have the passage read by a collection of readers of all ages using the script below. Readers stand in a line stepping up to a microphone to read their verses if amplification is needed. There are enough verses for 11 readers. Smaller groups of readers could read two or more verses each if needed. Reader 1: Lord, you have examined me and you know me. F To further explore this idea, share St. Patrick’s Prayer. Children savor all the concrete places Christ is around us. To emphasize them and the closeness of Christ, have worshipers follow hand motions you add as you read. Turn your hands to the various directions as they are named. Then point to the parts of the body as they are listed. Because it is a simple prayer, print it on card stock, perhaps featuring a cross or picture of Jesus. Give cards to children to put some place they will see it often – maybe in their backpacks or lockers at school or in their room at home. F Tell the back story. Imagine Moses with all the people on the edge of the Promised Land. Recall the escape from Egypt, the 10 Commands, the 40 years in the wilderness. Point out that Moses is old and has appointed a new leader to take the people into the Land God promised them. This is Moses’ goodbye speech. Then read the text, or ask an elderly man who is well known in the congregation to read it. F Invite children forward and meet them on the steps with the big Bible. Ask how many of them have been told to make good choices. After briefly talking about what people mean when they give you “the good choices lecture,” point out that the first “good choices” lecture is in the Bible. Briefly tell the story of Moses leading the people out of Egypt and through the wilderness. Recall God’s opening the sea for their escape, providing food and water when it was needed, and giving them the 10 Commandments to show them how to live. Explain that the people are now right on the border of the Promised Land. Before he hands leadership over to Joshua, Moses gives the people some advice about living in their new homes. Then read the Deuteronomy text using your voice and facial expressions to emphasize the choices Moses is offering the people. This is better as the “real” reading of the text for the entire congregation rather than as a children’s time. F Behind all this talk about making choices is the fact that what we do matters. Children need to hear that message repeatedly. It matters when they do good things that make life better for the people around them. And, it matters when they do selfish, mean things that cause trouble. What they choose to do and not do does make a difference. Knowing this is one of the building blocks of self-identity and healthy self-esteem. F The hard part about “choosing life” is that instead of making one big choice that you make once and then go about your business, you have to choose life in lots of little choices that you make every day. For example, given the choice between getting an A or an F on your report card, most people would choose the A. But to get that A requires lots of choices every day, like, "should I do my homework or play a computer game?" The only way to get the A is to choose to study every day. In the same way, if we want to live in a happy family, we have to choose to help out sometimes rather than do we want to do all the time. Likewise, if we want to choose God’s ways, we have to make that choice over and over again every day. F The over simplification of the difference between good people and bad people in this psalm appeals to children who do not yet realize that almost no one wears a totally white or black hat. So direct the psalm to children. The adults, who struggle with the nuanced differences between the good and evil, will listen and get the psalmist’s point too. F To make the comparison visual, have the psalm read by two readers. Reader 1 (the “good” reader) wears light or white clothing and Reader 2 (the “evil” reader) wears dark clothing. They begin standing back to back in the center of the front of the sanctuary. Each one turns to read or recite their verses facing the congregation then returns to the starting position. This is most effective if the readers recite their verses from memory, but good readings are OK too. Reader 2: but the way of the wicked will perish. NOTE: I used the NRSV in the script because this psalm is well known in this version. For a translation with an easier vocabulary for children look at Today’s English Version. 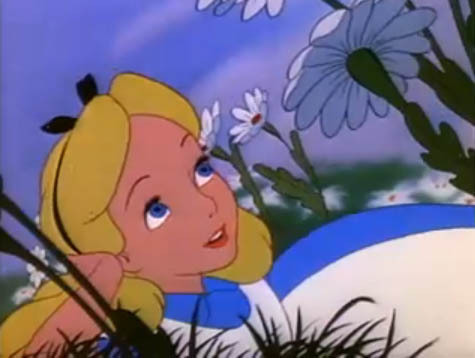 F Alice in Wonderland is not all that familiar to children today. But, Alice’s problems with choosing the bad advice of signs that said “EAT ME” and “DRINK ME” could be explored as examples of what happens when we follow the advice of the wicked. F Consider reading the whole book in worship for the sheer joy of having read a whole book of the Bible. Invite worshipers to follow along in their pew Bibles as you read. Paul who wrote the letter. Philemon, the Christian owner from whom Onesimus had run away. Then read the book with dramatic inflection to emphasize the greetings and all the ways Paul tries to get Philemon to do what he wants. F Enjoy the fact that we do not know how this story ended. List reasons Philemon might welcome Onesimus back but still as a slave or welcome him back and free him or punish him as a runaway slave. Help children understand how much money Philemon would lose if he freed Onesimus. Imagine what Philemon’s slave-owning friends might say to him if he welcomed Onesimus. Be sure the children know that this was a very hard choice. F This story might be presented as a case study in the choice making called for in Deuteronomy or for the discipleship described in the gospel. Just as Philemon is called on to make a hard choice, we can expect to face similar hard choices. It is just part of being a follower of Jesus. F Children hear little else in this passage as it is read beyond the call to hate your mother and father, wife and children, sisters and brothers. That call scares them even more than it scares adults because children are so very dependent on their families – especially on their parents. The challenge is to find a way to recognize their fear without saying “Jesus didn’t really mean that.” One way to do this is to introduce the reading as one of the scariest things Jesus ever said. Tell listeners in advance that Jesus said that if we want to be his disciples we must put Jesus first even first before our families, our own safety, or our stuff. Admit that people have struggled with this ever since Jesus said it. Suggest that everyone hold hands for courage as you listen to Jesus’ words. Promise that you will talk together about what they mean. F Use this passage to insist that being a disciple is not easy. It is NOT about just being nice or sweet. It is about loving people, even enemies, and forgiving people who do awful things to you and people you love, and taking care of people who are not nice to you. Disciples must be brave and strong. Sooner or later every follower of Jesus has to do something hard. We don’t often tell children this. But it is true and they need to know it. F It is a good Sunday to tell the stories about brave disciples making hard choices. Eric Lydell was an Olympic runner who refused to run the race he trained for because it was scheduled for Sunday morning and he believed running on Sunday would dishonor God. 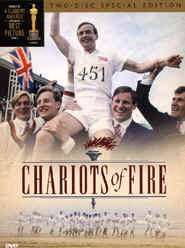 His story is told in the film "Chariots of Fire." The film is too long for worship, but the story it tells is not. F If you did not do this on August 4th, try today totally covering the Table and the usual symbols displayed on it with all sorts of stuff – clothes, hats, electronics, sports equipment, books, video/CD, board games, fast food containers and fancy cooking equipment, and whatever else are “hot items” in your congregation this summer. Be sure to include things that appeal to worshipers of all different ages. At some point in the service, remove the items one at the time discussing ways we get too attached to them. Leave a clear Table dominated by the appropriate symbols. Savor it publicly noting that everyone probably feels a little relieved to have it cleared of the stuff that got in the way of the symbols we love. This could be done as a call to worship (a call to clear away all the stuff to focus on what is really important), the lead up to prayers of confession about our misuse of our stuff, a children’s time, part of the real sermon, even as a response to the scripture and sermon. One worship leader did this at the beginning of the service by moving the entire sermon there. All the liturgy then was response to the experience and conversation about all the stuff on the Table. Some lovely ideas - going to use the Alice in Wonderland story tomorrow evening. By the way, the spelling for Eric Liddell has suffered from typos.